Ready to get together with friends but not sure what kind of party to choose? Hosting a dinner party is a fun and exciting way to showcase your talent in the kitchen. But having a wine-themed party is a great way to offer your guests a fun and relaxed way to learn about your favorite beverage. 1. Offer multiple drink stations: This idea is best for a larger get-together. It requires more prep time but will really free you up to socialize during the party. Buy wine that adds up to about ½ bottle per person. 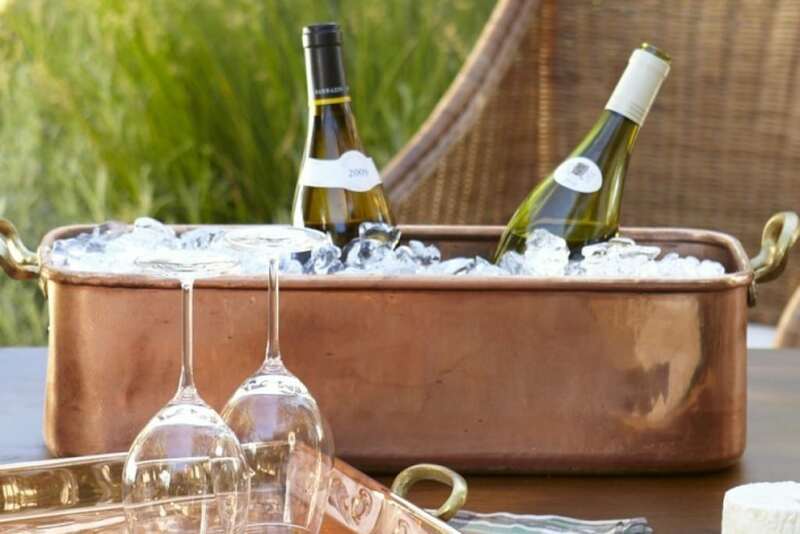 Place a different type of wine at each station and set up with cocktail napkins, a one-bite appetizer that pairs well with the wine type, a tiny trash receptacle, and a small card with details about the wine. Guests can mingle at their own pace and taste each wine before dinner. 2. Serve at least two types of wine with dinner: Buy a larger quantity of your featured dinner wines. Keep the price moderate, so guests can afford to duplicate the experience at home. Remember to keep white wine in the refrigerator until about ten minutes before serving it. Try 2010 Terres Dorées Beaujolais l’Ancien Vieilles Vignes ($16) or the sparkling NV Lini Labrusca Rosso Lambrusco ($16). 3. Make a playlist: Musical tastes are very personal, so choose music you and your guests will enjoy. 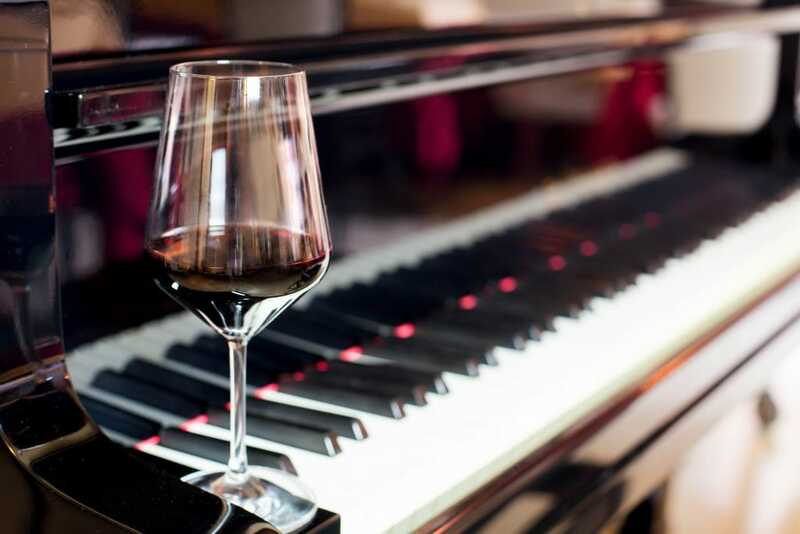 Try “Lovely Day” by Bill Withers, “Peel Me A Grape” by Diana Krall, “High and Dry” by Jamie Cullum, “Into the Mystic” by Van Morrison, and don’t forget “I Heard It Through the Grapevine” by Marvin Gaye. 4. Set up a television (or two) to play wine-themed movies: While it’s true that most people have seen these famous movies, it’s fun to have them playing in the background. Put on subtitles to keep the noise level manageable. Think Sports Bar with wine-themed movies instead of football. Check out Sideways, Bottle Shock, Corked, A Walk in the Clouds, Somm, and Red Obsession. 5. 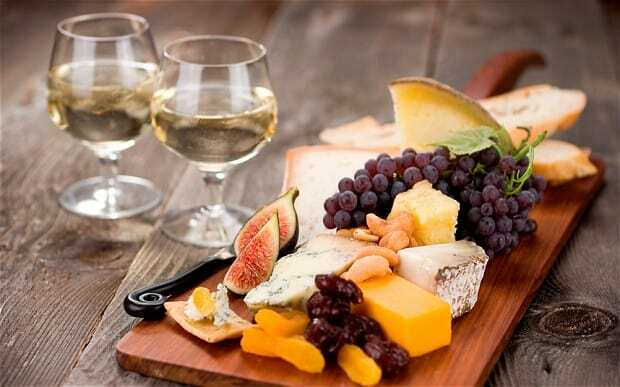 Make a fun appetizer platter: Arrange small blocks of white and yellow cheese in the shape of a wine glass on a large oval platter. Create a border around the glass with grape tomatoes, and make a background of red grapes or black olives. Place a shot glass of toothpicks beside the platter. Your guests will be impressed by the cute display. 6. 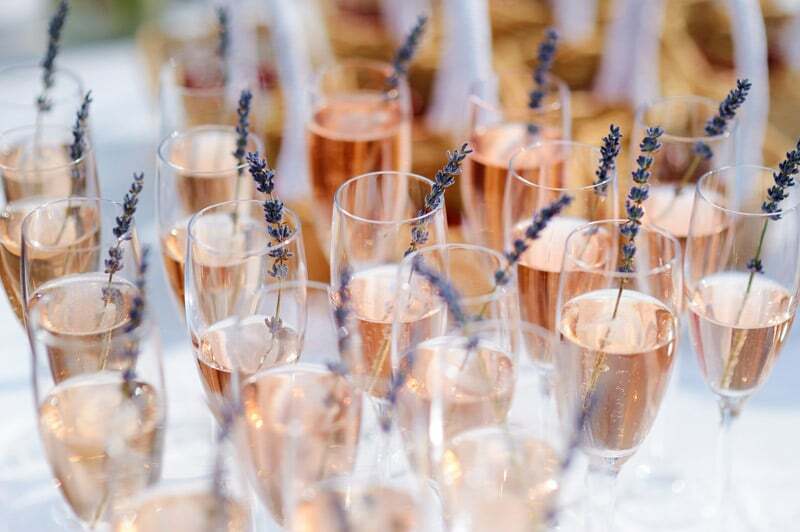 Offer Champagne: For a fun kick-off, start the party with a round of champagne. Keep the bottle on ice until the moment you open it. Toast the evening, and encourage your guests to mingle. To really start things off right, pour Veuve Clicquot N. V. Brut. 7. Give party favors: No party is complete without favors. Check out popular keychain corkscrews, so your friends are always ready for their next bottle. Wine bottle candle wicks make it easy to turn a favorite (empty) wine bottle into a rustic and romantic display candle. The snowflake bottle topper is a great addition to a winter wine party, and everyone will be happy to take one home. Can’t decide? Pack a classy goody bag with an assortment of chocolate and a gift card to your favorite coffee shop. 8. 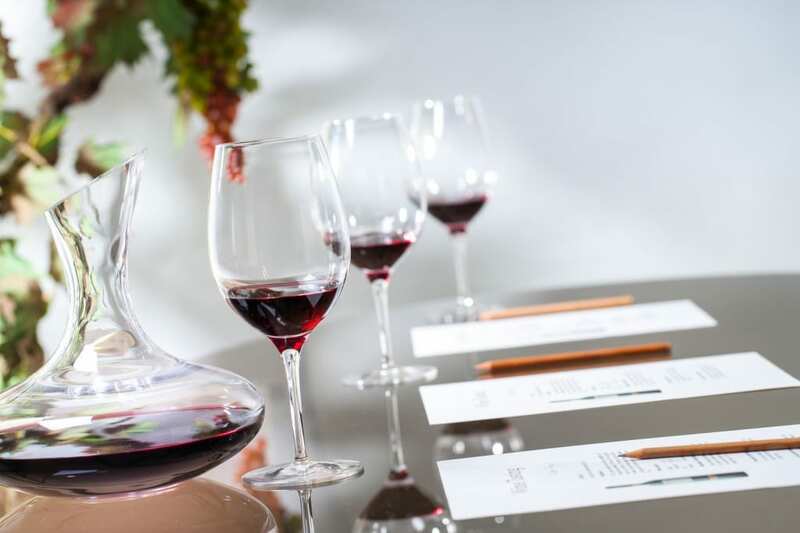 Offer wine tasting notebooks: Over the course of an evening, it’s difficult to remember which wines were favorites. 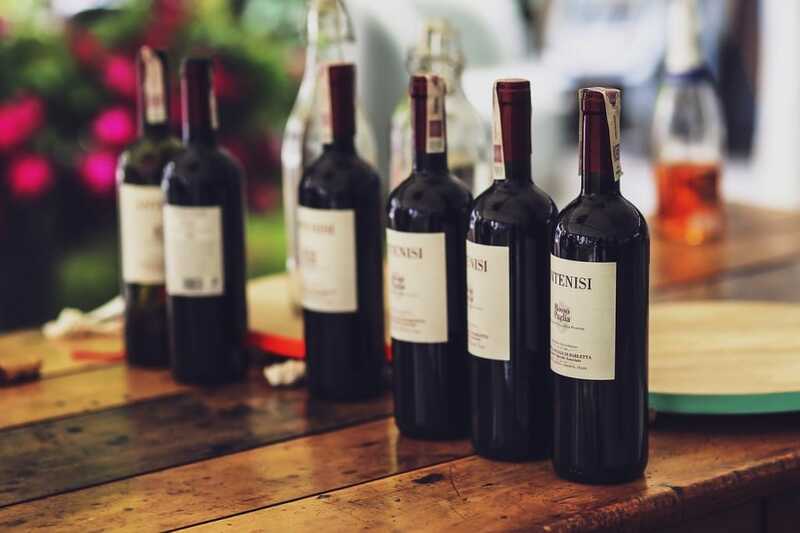 Offer your wine-tasting and wine-loving guests small notebooks to write down the names of the wines you offer at your party. Each notebook should include a small pen, as well. 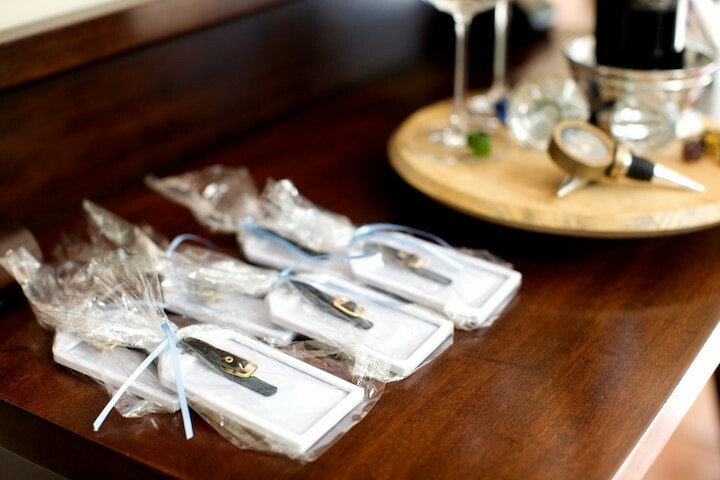 Place the notebooks at the same table as the wine glasses to make them easy for friends to pick up at the beginning of the event. 9. 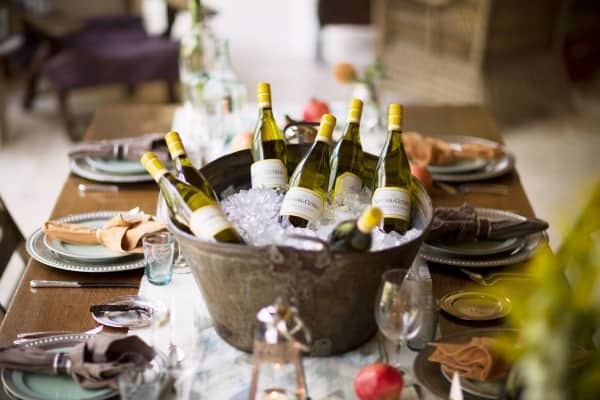 Make a water station: Modern wine tasting parties are more relaxed than their traditional counterparts of years past. Offer a pitcher of ice water so guests can cleanse their palettes and slow down if they’d like to drink a bit less wine and avoid the traditional hangover. Make sure the pitcher is always full and put out a few water glasses in case someone wants to switch to water for the duration of the evening. 10. Don’t forget dessert! 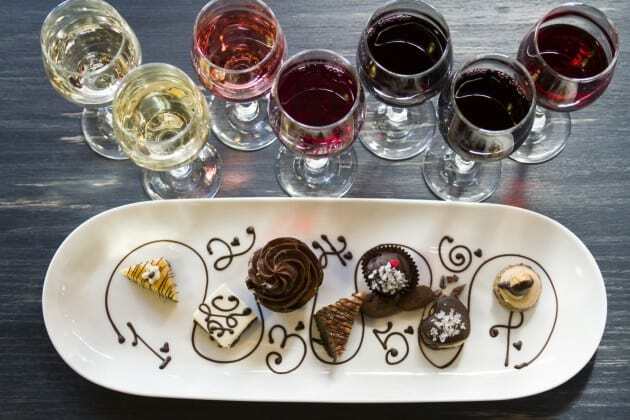 Dessert wines aren’t just for formal dinner parties. Produced with extra-sweet grapes, wines like Riesling, Gewurztraminer, Viognier, Chenin Blanc, and Muller-Thurgau are great choices. 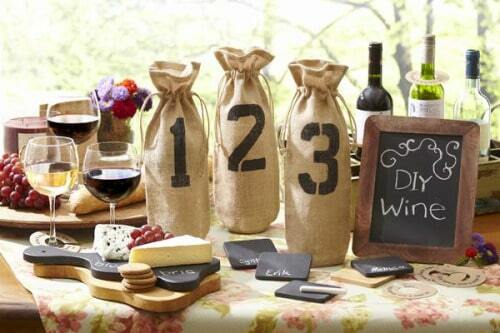 Remember to allocate about ½ bottle per guest. Try the popular Famille Sparr Riesling or Schmitt Sohne Kabinett Blue Bottle Riesling. Both are under $15 per bottle. Throwing a wine-themed party or wine tasting is a fun and easy way to relax with friends and family, and I hope these wine party ideas will help you. Learn something new, show off your party planning skills, and spend an evening with people you love in surroundings that encourage laughter, mingling, and an all-around great time. 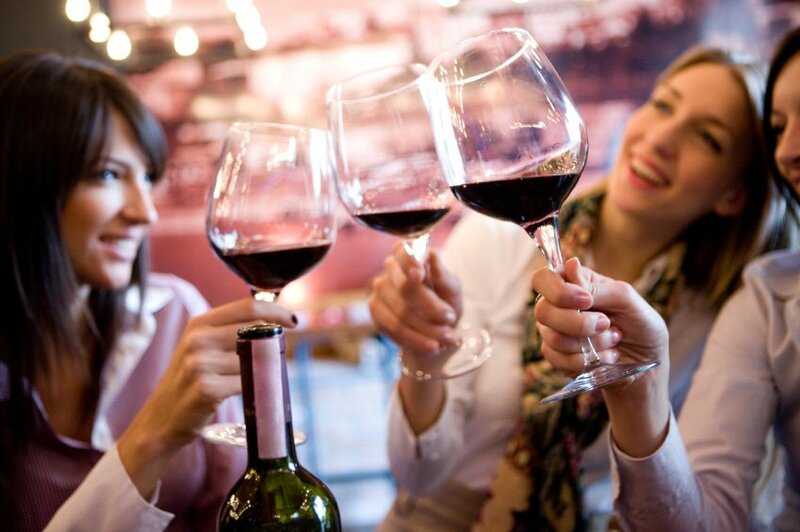 Enjoy your wine theme party, cheers!